This rustic Barn has been designed with both style and simplicity. 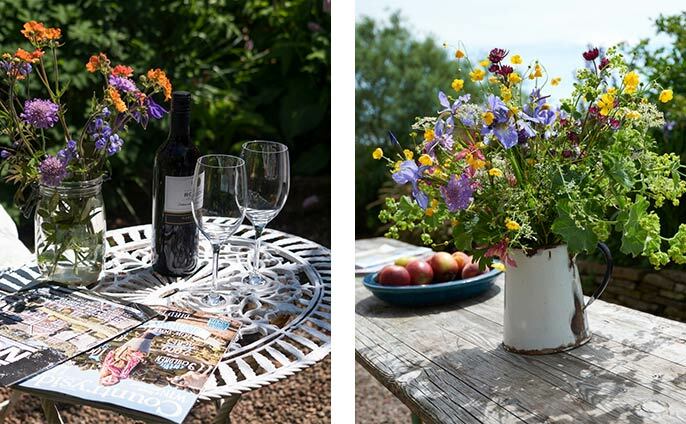 Nestled in the heart of Herefordshire's Golden Valley and only 10 miles from Hay-On-Wye and Abergavenny this rural retreat offers the ideal escape for peace and tranquility. 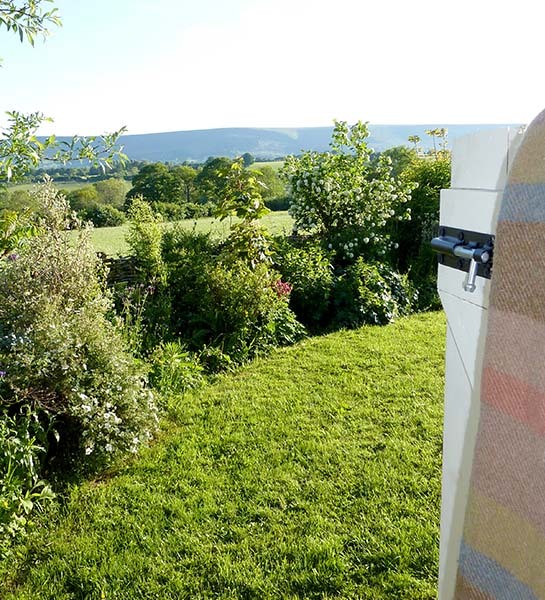 The perfect place for a relaxing break away with panoramic views of the Black Mountains. 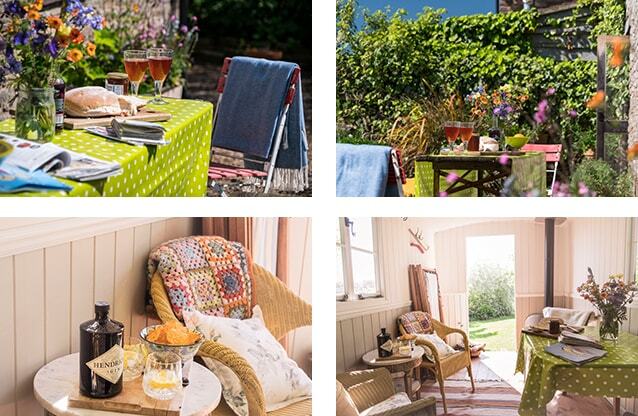 A cosy nest for couples, honeymooners, family gatherings or weekend parties. 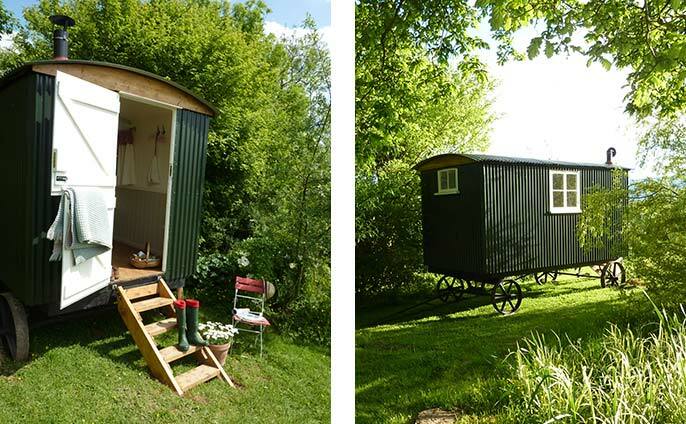 Sleeps 2 to 5 people in The Barn and 2 guests in the Shepherds Hut. 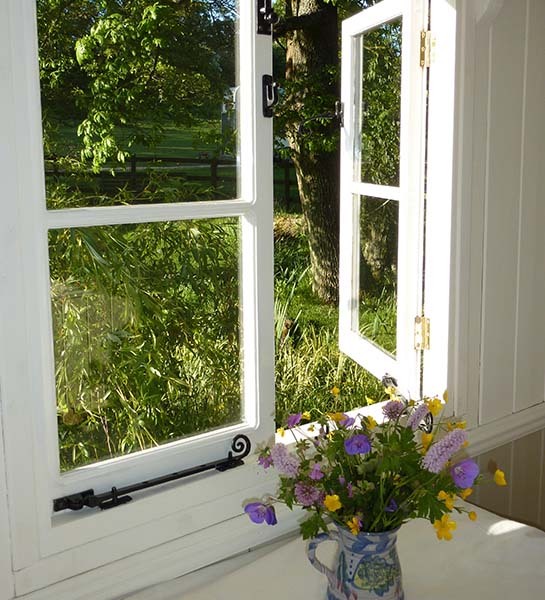 The Barn is ideally located in the Golden Valley, which is only a short drive to many of the picturesque market towns such as Hay On Wye, Abergavenny, Ross On Wye, and Ledbury. Weekly markets are held here which give you the opportunity to explore locally made crafts and taste fresh / homemade produce. Hereford itself has some beautiful shops on Church Street which lead up towards the historic Cathedral and Mappi Mundi. Not only is there culture and heritage here, but unlimited walking, cycling, canoeing, in and around The Black mountains, Wye Valley, and The Brecon Beacons. 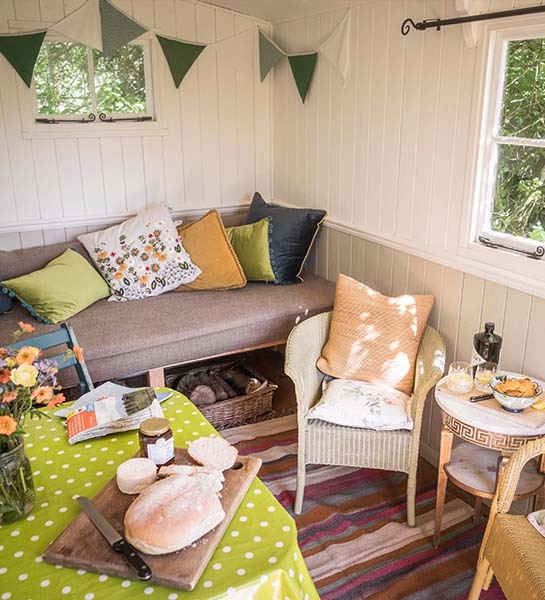 Our quaint Shepherd's hut, hidden in the wild garden, is available throughout the year. A great fun space for weekend groups/parties. Sleeps 2ppl so can provide extra accomodation in addition to The Barn. Equipped with a double bed, a superb little log burner and seating area. (Electricity is provided in the hut) Please email us for more details. 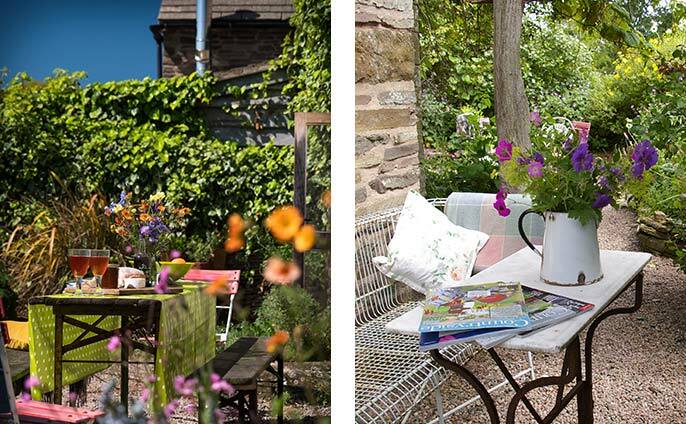 Our typical English cottage garden has lots of sunny spots for a quiet read, evening drinks or to simply sit and admire the impressive landscape. We have a large lawned area with a small pond - a touch on the wild side! For those warm summer evenings there is a BBQ and outside table and benches for alfresco dining.